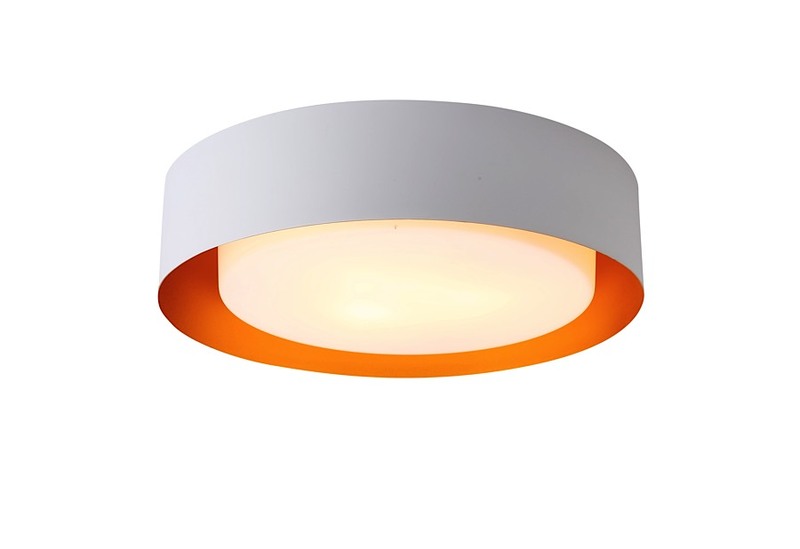 Illuminate your modern interior with the sleek yet elegant Lynch White and Gold Flush Mount Ceiling Light. This ceiling lamp encloses three (3) 60 watt incandescent bulbs (not included) in its glass cover. 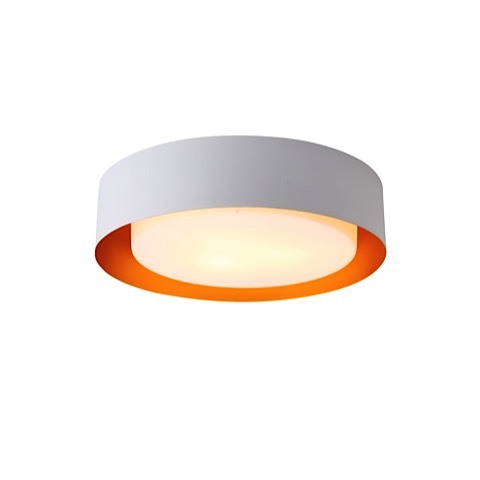 The lamp is surrounded by a 15.75″ diameter metal shade with white exterior and gold interior finish; simple yet exquisite.